The Southeast Farm Press posted a retrospective story this week on the 2018 weather impacts on the Tobacco Belt. Intense heat early in the season was followed by heavy rains. Hurricane Florence destroyed a lot of the tops of the tobacco plants with strong winds and heavy rain, the most valuable part of the crop. 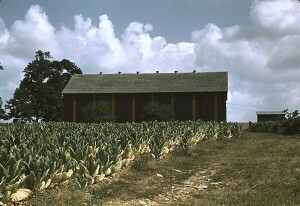 Rains in Georgia and Alabama not associated with hurricanes also caused losses of yield in tobacco, although what remained was considered good. You can read more details here.